If you live in the city like me, you might soon find out that making a campfire on your apartment balcony to roast your marshmallows is somewhat frowned upon by the by-law officers. 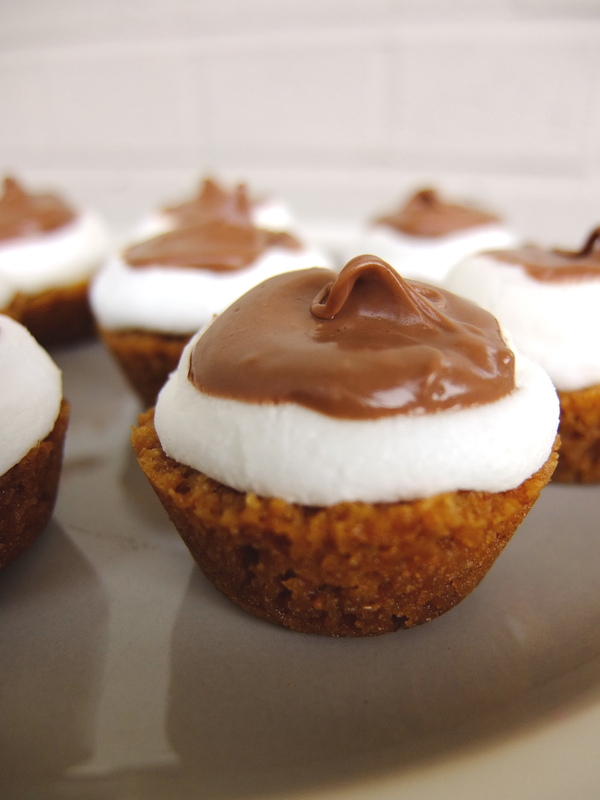 Luckily, I am sharing with you the perfect s’mores substitute that doesn’t involve a campfire, or even an open flame! 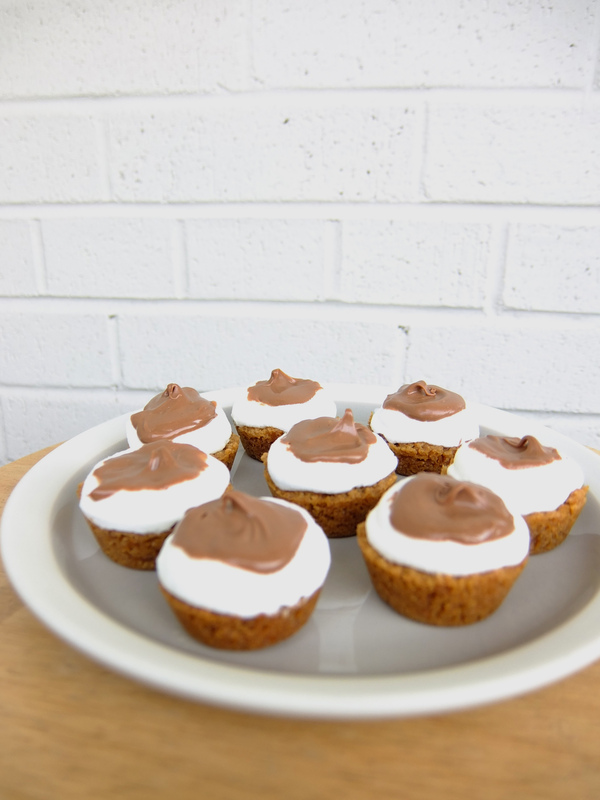 These S’mores Tarts are so delicious and cute, your friends will be swooning over these tasty alternatives to the classic s’more dessert. 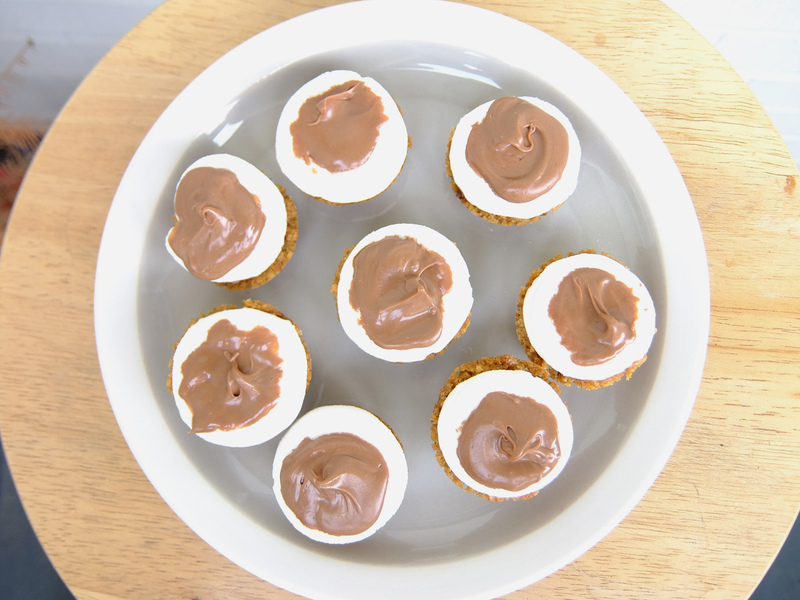 These little guys are convenient for traveling, and are ideal for bringing to a potluck summer BBQ. Start by crushing up 1 cup of Graham crackers. Putting the crackers in a plastic bag to crush them keeps your kitchen clean and gets the job done quickly. Pour into a mixing bowl, and stir in 1/4 cup powdered sugar and 6 tbsp of melted butter. 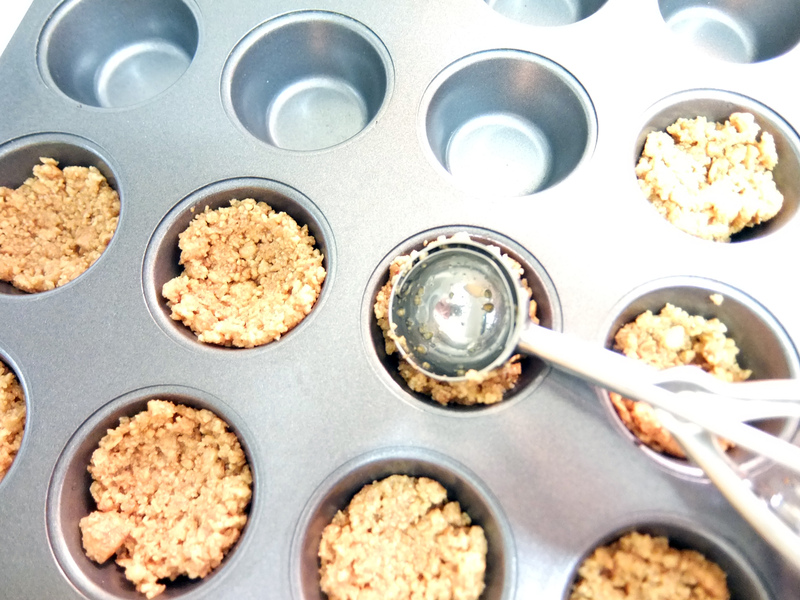 Spoon the crust mixture into a small muffin pan and make a small bowl-like shape in the mixture. I used the back of the scoop to do mine. Place these in the oven for 4-6 minutes on 350 degrees F, or until the crust begins to bubble. Take out of the oven and add a square of chocolate (milk or dark) to the middle of each tart. Use clean scissors dipped in cold water to cut a large marshmallow in half and place sticky-side down on top of the chocolate. Place back in the oven for 1-2 minutes, and let cool for 15 minutes. 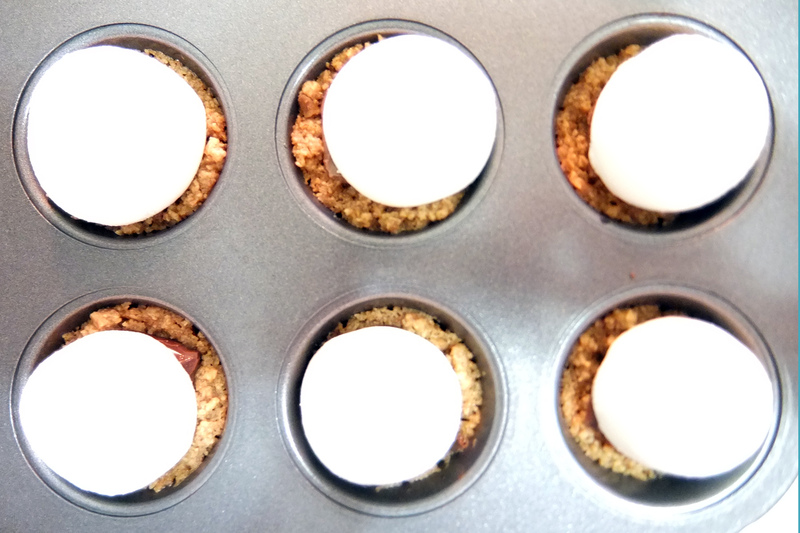 Once cooled, melt chocolate to dribble on top of the tarts. I ended up making a dollop on top of each.